On Sept. 13, 2018, in the city of Lawrence, Mass., life for many families took an unexpected and tragic turn. A natural gas explosion and subsequent fires resulted in one fatality and 21 people were taken to the hospital. Five homes were destroyed, and 131 structures were damaged. Thousands of people were affected by this devastating event. Following the disaster, the National Transportation Safety Board investigated the incident and consulted with the National Society of Professional Engineers. The Society and NTSB staff spent several weeks discussing the engineering licensing process, its standards, and NSPE’s opposition to licensing law exemptions. NSPE shared several documents, including its industrial exemptions position statement and fact sheet, and public testimony from Professional Engineers. Ultimately, this collaboration led to a new state law designed to better protect the public. On Dec. 31, 2018, Massachusetts Gov. Charlie Baker signed emergency legislation that requires a licensed Professional Engineer to approve plans for the construction, operation, and maintenance of natural gas infrastructure. The Society believes that Baker took an important step by heeding the call for PE oversight and signing the measure, which took effect immediately. Since 1907, PE licensure has developed to protect the public, often after tragic events have revealed vulnerabilities. NSPE serves as a leading voice in protecting licensure and working to combat threats to licensure wherever they may appear. In 2015, the Society served as a voice for licensing following the uncontrolled release of wastewater from the abandoned Gold King Mine in Colorado. NSPE worked with U.S. Rep. Bruce Westerman, PE, to secure a PE role in abandoned mine cleanup projects. Similarly, after the Deepwater Horizon explosion and subsequent oil spill in 2010, NSPE pressed for years for a rule requiring PE review and approval of changes to oil and gas blowout preventer systems. Eventually, a rule was established, and today NSPE finds itself fighting regulators’ attempts to reverse the rule. Now, the Merrimack Valley gas pipeline explosion re-emphasizes how vital it is that NSPE, state societies, and NSPE members continue to inform policymakers, regulators, and the public about the value of professional engineering expertise. What went wrong on that September day in Massachusetts? Columbia Gas was conducting a pipe replacement project when the pipeline system experienced over-pressurization. Ultimately, Columbia Gas, a subsidiary of NiSource Inc., failed to implement proper procedures and controls to reduce project risks. According to the NTSB investigation report, a series of explosions occurred when high-pressure natural gas was released into a low-pressure, cast-iron gas distribution system. The system was originally installed in the early 1900s, and upgrades to steel and plastic pipes were made beginning in the 1950s. Columbia Gas’ pipe replacement project involved replacing the low-pressure, cast-iron and plastic natural gas main with a low-pressure and high-pressure plastic gas main. During the project, when contractors disconnected the cast-iron distribution main that was being abandoned, a section of the main that contained regulator-sensing lines lost pressure. The regulators responded by opening up, which increased pressure in the distribution system. This led to the delivery of gas at a pressure above the maximum-allowable operating pressure, causing the explosions and fires. In its investigation, NTSB found that a Columbia Gas field engineer developed engineering plans without reviewing engineering drawings that documented the regulator-sensing lines. The engineer had limited knowledge about the importance of the regulator-sensing lines and the consequences of losing the capability to detect the system’s pressure levels through the regulator-sensing lines. NTSB noted that constructability reviews, which should outline deficiencies and include project improvements, are often approved by a licensed Professional Engineer in many jurisdictions. The NTSB report recommended that Massachusetts end the PE license exemption for public utility work and require a PE’s seal on public utility engineering drawings. Develop and implement control procedures during modifications to gas mains to mitigate the risks identified during management of change operations. Gas main pressures should be continually monitored during these modifications, and assets should be placed at critical locations to immediately shut down the system if abnormal operations are detected. With the expeditious actions taken by both NTSB and Massachusetts, will other states follow suit? Vermont may be one. When the Massachusetts Department of Public Utilities began repairing the natural gas infrastructure and restoring services, public utility teams from other states came to help. Teams from Vermont Gas Systems spent several weeks assisting. In Vermont, a state agency recently called for increased safety inspections and started an inquiry on PE oversight at a 41-mile pipeline construction project completed in Addison County. According to Vermont Public Radio News articles on Dec. 31, 2018, and Jan. 11, 2019, the Vermont Department of Public Service asked the Public Utility Commission to consider NTSB’s recommendations following the Merrimack Valley gas line explosions. A spokesperson for Vermont Gas Systems said the utility provided documentation to the Public Utility Commission that a Professional Engineer licensed in Vermont approved the design plans for the Addison County project, which was completed two years ago. She also said that Vermont Gas Systems will follow the safety recommendations and guidelines in the NTSB report. Currently, NTSB’s engineering licensure recommendation associated with gas pipeline design and construction applies only to Massachusetts. NSPE encourages more states to follow Massachusetts’ lead in ending engineering license exemptions for public utility work and elevating the Professional Engineer’s role in protecting the public. NSPE takes a clear position on licensure exemptions: All engineers who are in responsible charge of the practice of engineering as defined in the NCEES Model Law and Rules in a manner that potentially impacts the public health, safety, and welfare should be required by all state statutes to be licensed Professional Engineers. An “industrial exemption” is defined as a state law that exempts companies and organizations from being required to have a licensed Professional Engineer oversee engineering design and production services. The Society recommends the phasing out of existing exemptions in state licensing laws. Currently, 53 states and territories allow licensing exemptions in some form, while 16 states allow exemptions for public utilities. “In-house” engineers employed by a manufacturing or other business firm. The task force emphasized that educating the public about licensing exemptions and the risks involved is critical. The public must be made aware that engineering licensing laws rarely apply to the engineering work in their states and that the overwhelming majority of engineering is done by unlicensed engineers. The report points out that legislators who want to keep these exemptions in place may be more responsive to demands for change from the public, especially if these legislators have a record of supporting licensing laws as necessary for the public’s protection. Positively recognize and encourage industries or industry partners promoting professional engineering licensure in states where that industry would otherwise be exempt from licensure requirements. Proactively communicate what is and is not considered the practice of engineering requiring a PE license and not wait for someone to come upon state-by-state summaries containing this information on the NSPE website. Equip state society partners to articulate what is and is not encompassed by their state’s industrial exemption when speaking with local and state regulators, including drawing important parallels to the legal and medical professions and concerns related to the public health, safety, and welfare in instances of unregulated practice. 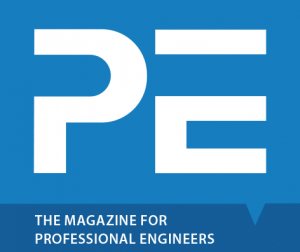 While some opponents of expanding professional engineering licensure may view these efforts through a cynical lens, NSPE responds to the issues around exemptions as a very serious matter. Some exemptions, the Society believes, pose the risk of weakening the foundation of engineering licensure. Recent discussions about the PE license, even within the NSPE community, have revolved around its necessity and benefit to the public and how far should licensure reach in our society as it evolves. As these debates carry on, NSPE will continue to ask, “Is the public good being served?” and continue to advocate for the Professional Engineer’s responsibility in that service. Republished from the March/April 2019 issue of PE magazine, a publication of the National Society of Professional Engineers.